จีซิก แม่ของเธอไม่เคยบอกอะไรเกี่ยวกับพ่อของเธอให้เธอฟังเลยหรือ? (ไม่มีคำตอบ)ฉันเดาว่าไม่ แต่เธอไม่สงสัยบ้างเลยหรือว่าทำไมชื่อท้ายของเธอคือ "ฮาน"
เจ้าหน้าที่สำนักงานโย กำลังรายงานซังจี เกี่ยวกับเรื่องจางเมียงซุกบุกเข้าไปที่ลานจอดรถหนึ่งชั่วโมงก่อนที่จะเกิดคดี และระยะห่างจากจุดที่เกิดเหตุเพียง 15 กิโลเมตร "ที่น่าประหลาดใจที่ตำรวจจราจรจำได้ก็คือละครเรื่องนี้ต้องมีใครบงการอยู่เบื้องหลัง"
เมียงซุก มานี่สิ (แซงยุบเดินมาหา ยูซุกไม่ขยับเขยื้อน) แกด้วย! (ยูซุกเดินมา) ที่ชิคาโก ตอนชั้นอายุ ประมาณ 30 ฉันได้สาบานเป็นพี่น้องกับ กาเลียโน ในตอนนั้นเราไม่มีช่องทางที่จะหาเงินแม้แต่เงิน ไม่จนกระทั่งได้รู้จักกับ อัลคาโปน รู้ไหมว่าทำไม? เพราะเรามีความผูกพันธ์อันแน่นแฟ้นต่อกัน จนไม่มีใครสามารถที่จะมาแทรกกลางระหว่างเราได้ ส่งมือแกให้ชั้น (เขาจับมือกัน) แกคือพวกเรา จำไว้ ชั้นไม่อาจที่จะอยู่กับแกตลอดไปได้ แกสองคนจะต้องไม่มีอะไรเปลี่ยนแปลงไม่ว่าจะทำอะไรก็ตามแกจะต้องทำด้วยกัน (มองที่ยูซุก) แกด้วย แกจะต้องเชื่อฟังพี่ของแกและเรียนรู้ทุกอย่างจากเขา และความสัมพันธ์นี้จะต้องคงอยู่ตลอดไป แกเข้าใจใหม? แซงยุบ พยายามที่จะทำให้เป็นเรื่องตลก จนสุดท้ายอุทานขึ้นมา "เฮ้ย....." พ่อ! ได้ยินหรือเปล่า? หา..
กังซูและน้องร่วมสาบานกำลังหาทางไปพบจังเมียงซุก แต่ถูกบังเกและคนอื่นๆ ขวางทางไว้ ทำให้กังซูไม่พอใจ "ฉันต้องการมาคารวะคุณจาง"
กังซู มองเห็นยูซุกอยู่ในรถคันหนึ่ง (พูดกับตัวเอง) ฉันไม่มีวันลืมความอับอายที่แกทำไว้กับชั้น และแก ฮานยูซุก ฉันไม่รู้ว่าแกมาทำอะไรที่นี่ แต่อีกไม่นาน..แกต้องตาย"
เมียงซุก ชั้นไม่เคยได้เรียนหนังสือ ทุกสิ่งทุกอย่างที่ชั้นเชื่อชั้นเรียนรู้มันด้วยใจ หนึ่งในนั้นคือครอบครัวของชั้น แกเป็นคนแรกที่เข้าเรียนในมหาวิทยาลัย แล้วแกจะไม่ผิดหวังหรือ? เมียงซุก ปล่อยเค้าไปเถอะ ตราบใดที่เค้ายังเป็นต้วของเค้าเอง ตอนนี้ทนายซูอยู่ที่ไหน? ทำไมถึงได้ช้าอย่างนี้? 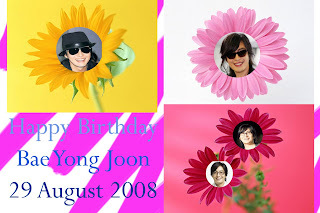 First of all, we wholeheartedly appreciate your sincere and supportive greetings on BYJ’s birthday. Your warm hearts and prayer for BYJ’s health and happiness made it a meaningful day for BYJ. 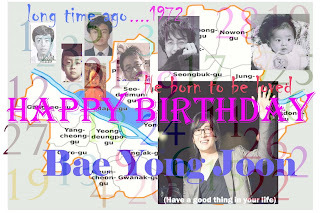 Thank you for your everlasting support for BYJ. Autumn has come in Korea. We hope every day is splendid and memorable for all of you. 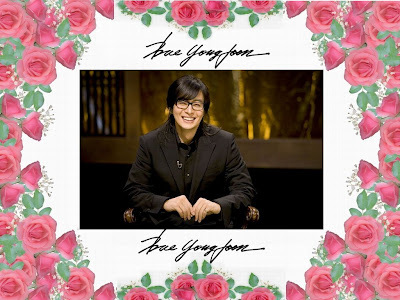 Although Bae Yong Joon is the Super Star of Asia.He is very popular and many people around the world know him as long time. It isn’t me. I am never know him, never perceived who is he until I had seen The Legend. It wasn’t first impression to his handsome guy but it began from Tamdok character.I realized that time I praised Tamdok.He was the great leader in my idol, he loved and cared his people. 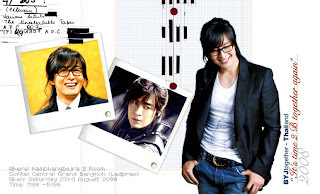 Acting of Bae Yong Joon made me believed he was Tamdok. After that I try to find information about this guy. 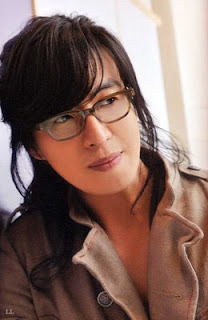 I have saw TWSSG and Team website and this Family made me to know more about Bae Yong Joon. 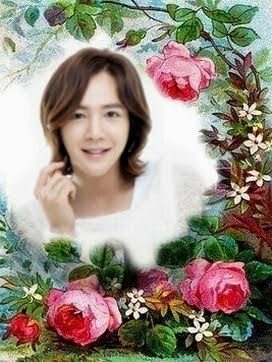 Even is a short time to know him and a little information about him but I can touch with my heart and make me understand why many people love him why I admire him very much. 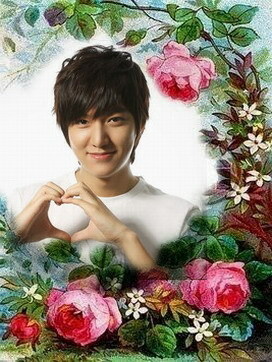 This is because all activities he made such as acting, business, charity and other , coming from his strong determination. I need to tell you that you are my inspiration .I will follow up my dream come true like you do. I will learn to improve myself ,determine, never give up, help and care people around me and them happy. Thank you very much to be born. I am glad to have alive the same period with you. Great idol who living in a present time, doesn’t in a legend. 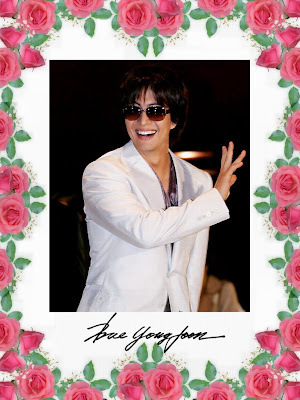 Happy birth day. 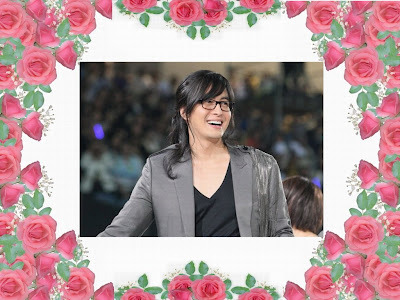 For...Mr. Bae Yong Joon on his Birthday..
Today is Aug. 29, of course, it’s birthday of a man who can win most of Asian women’s hearts, Bae Yong Joon. 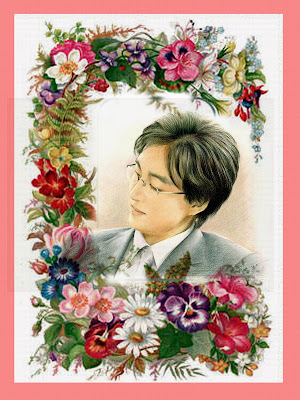 I’m just sitting in front of my computer and try to think of something to write for him and our family in this special day. When thinking of birthday, it’s remind me of some people who were born on this day, too. And I can recall my memory for some of them. (In case you’re wondering why I know who were born on this date 29th, it’s because I have the same birthdate but not the same month^^) Yes, all of them are well-known. The first one is Ingrid Bergman, may be you’ve heard her name before. She was the great actress who won numerous awards, no wonder why BYJ is so great with his performance and won many awards like this great actress who became legendary (you too, BYJ, the legendary of Asia). Next is one of most talented directors in this world who directed the film that still in our memory, “Ghandhi”. He is Sir Richard Attenborough, a great director as well as a great photographer and he also have his passion in environment reservation. He try to present the beauty of nature and encourage us to save them for ourselves and for our children. 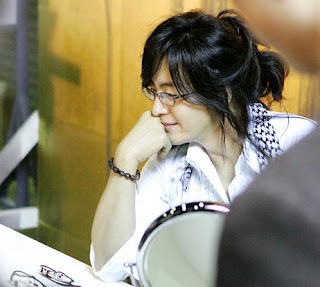 Is this a fate or not, that BYJ also love photographing and he always have his desire to become a director. 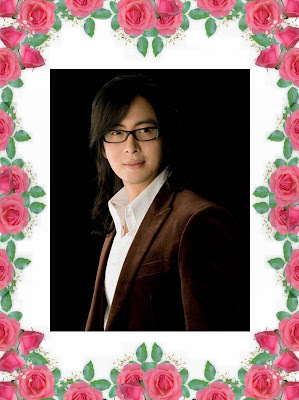 Moreover, he care for the environment as well as this great director. May be one day BYJ, you’ll be like him, but don’t let us wait until you get to his age, okay? The third one that I can think of is an American pop singer who became King of Pop. Want to guess? Yes, he is Michael Jackson. Unbelievable, huh, that he also born on this day too. His wonderful is beyond the description and he became legendary of the world. Even he have his own world, the world that no one can trespassing but he also care for children and this world as you can see from his charity’s activities. And our BYJ love his privacy too. He likes to stay in his world and he have his own comfort zone that I think, we as the same family should understand him and respect his privacy. Sometimes we have to leave him alone and let him have his own peace of mind. And the last one that I cannot forget him because at this time no one well-known than him. I just know that he also born on this day too. He is the candidate of Republican Party for US President Election 2008, Senator John McCain. We don’t know yet he’ll win or not but his name was already written down in the history of America. "Try not to become a man of success, but rather, try to become a man of value." First thing I would like to say "I'm sorry" Because I'm late to know about you. 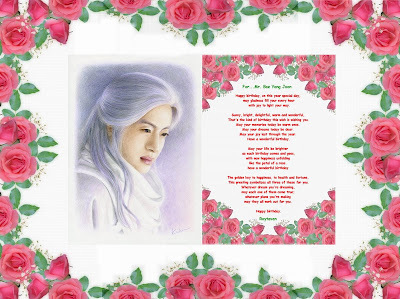 I began to know about you on April 2008 from "The Legend" at channel 3 Thailand. your face wiht smile it made me few better & can do something. 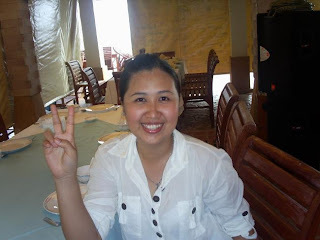 Today I been BYJ Thailand Family. Because in this box I can talk about you for everything, that I would like to know. It made me happy so much. Now I would like to say "thanks you very much for you born in this world." 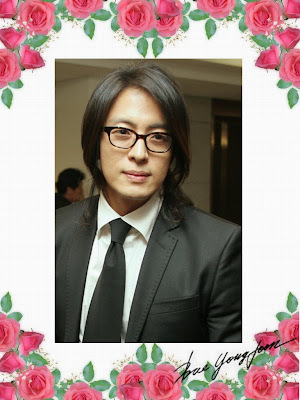 Dear My Bae Yong Joon. you want in this year and forever. Thanks you again for you born in this world. That's the kind of birthday this wish is wishing you. May your memories today be warm ones. 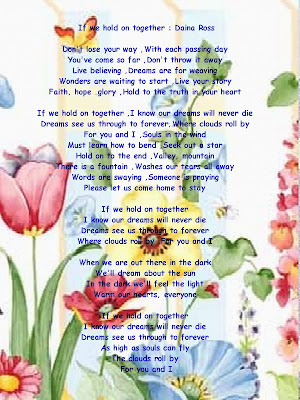 May your dreams today be dear. May your joy last through the year. like the petal of a rose. This greeting symbolizes all three of these for you. may they all work out for you. and always keep loveliness and charm. health and prosperity with many many returns of the day. good health, Long & prosper life!